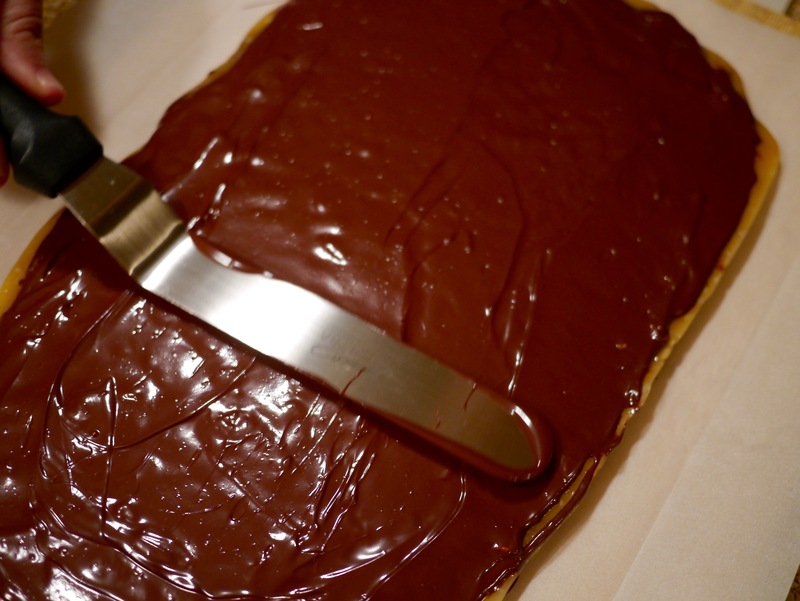 This week’s assignment for Tuesdays with Dorie is Chocolate-Covered Toffee Breakups. 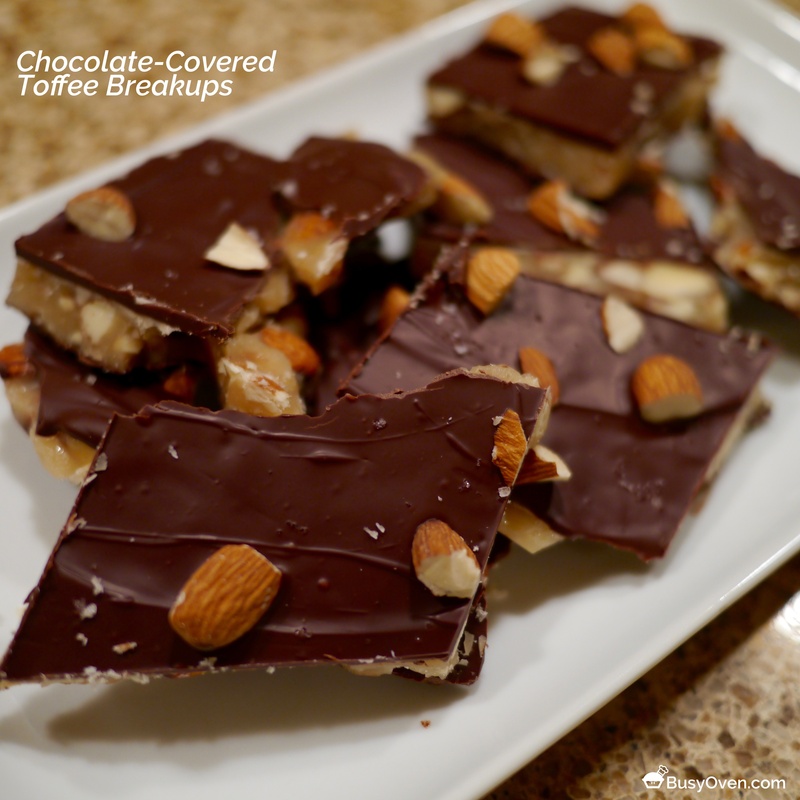 If you’re a fan of Almond Roca buttercrunch, you’ll love these Chocolate-Covered Toffee Breakups. 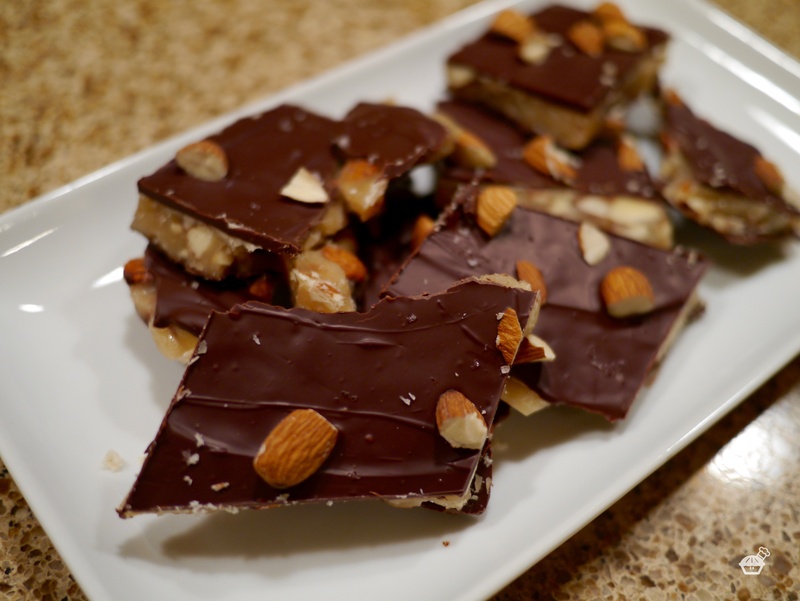 There’s a nice buttery flavor in the crunchy toffee that complements the taste of the toasted almonds and chocolate. 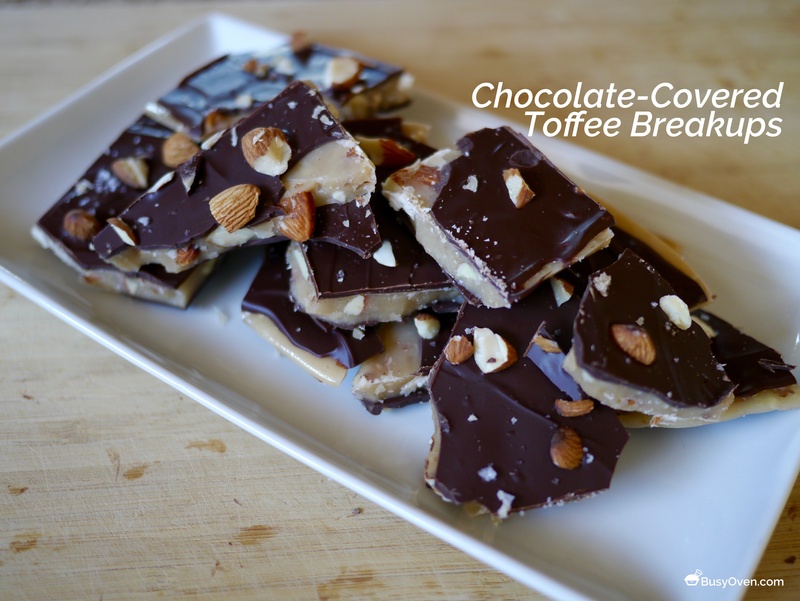 I made these Chocolate-Covered Toffee Breakups pretty quickly one afternoon. One good thing about this recipe is that it doesn’t require any fancy ingredients! 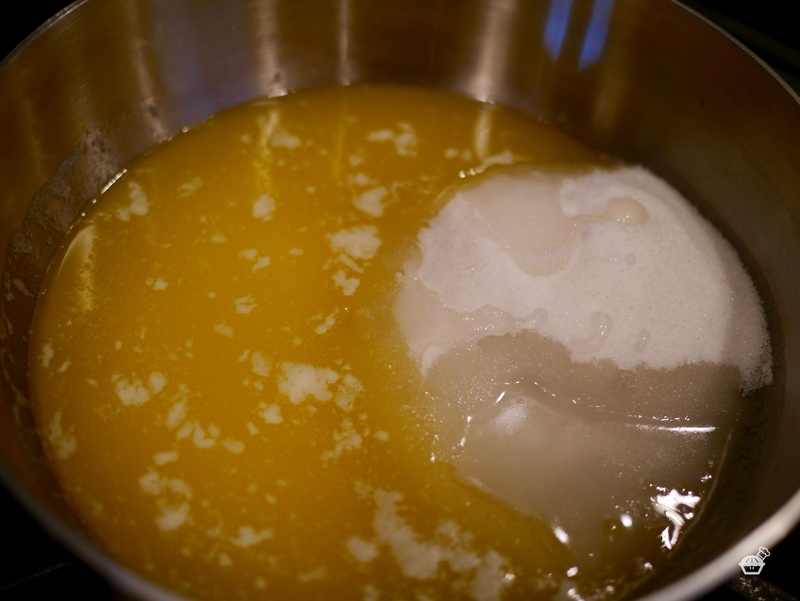 The first step is to melt the butter. 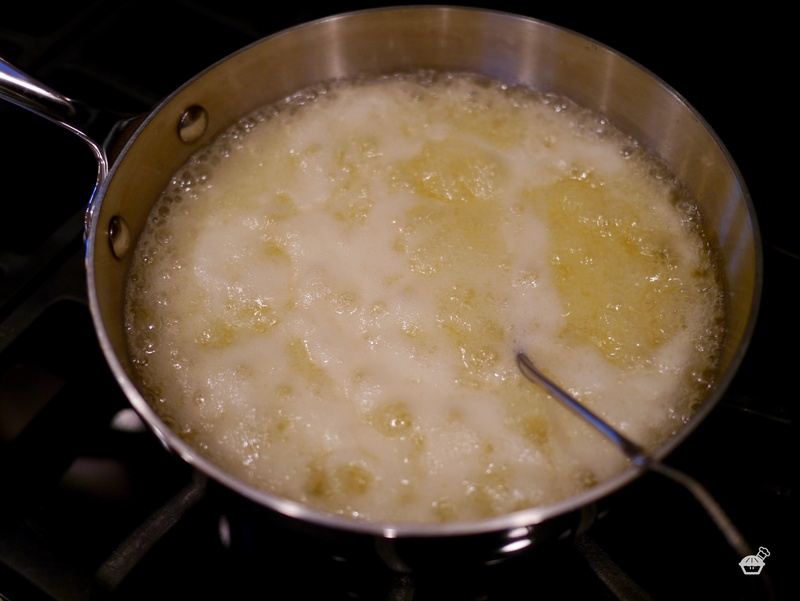 Once the butter is melted, add the sugar, corn syrup, and water. 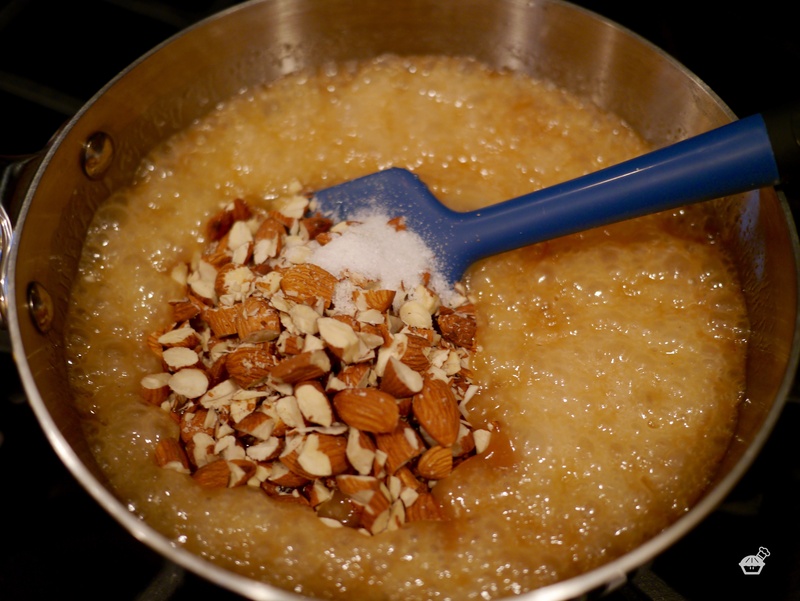 The sweet mixture will come to a boil and when it gets to the right temperature, a portion of the almonds and salt are added. 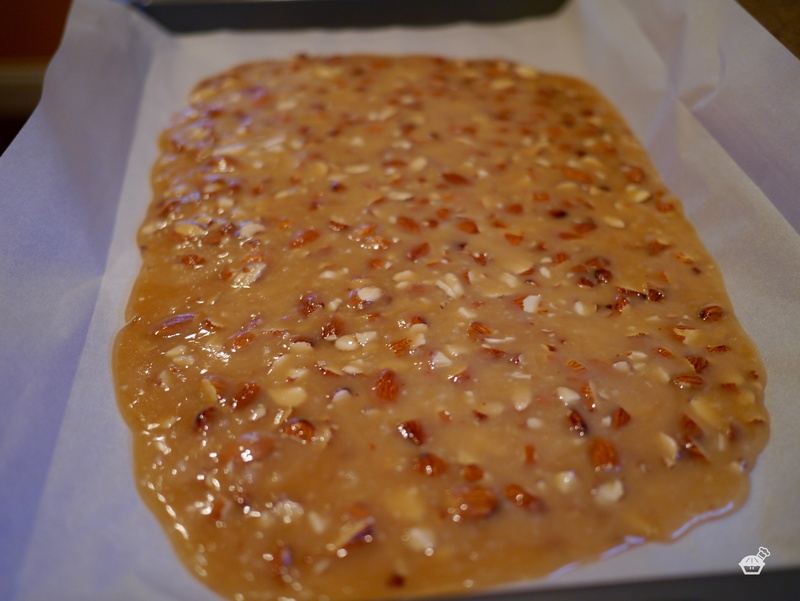 The toffee mixture will harden quickly, so it’s very important to spread the mixture out evenly as fast as possible. 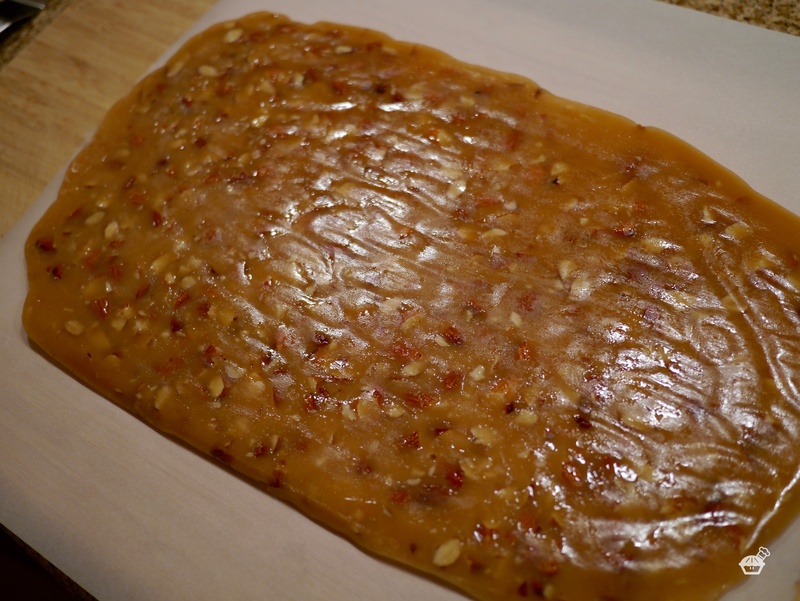 It only took about five minutes for my toffee to solidify. 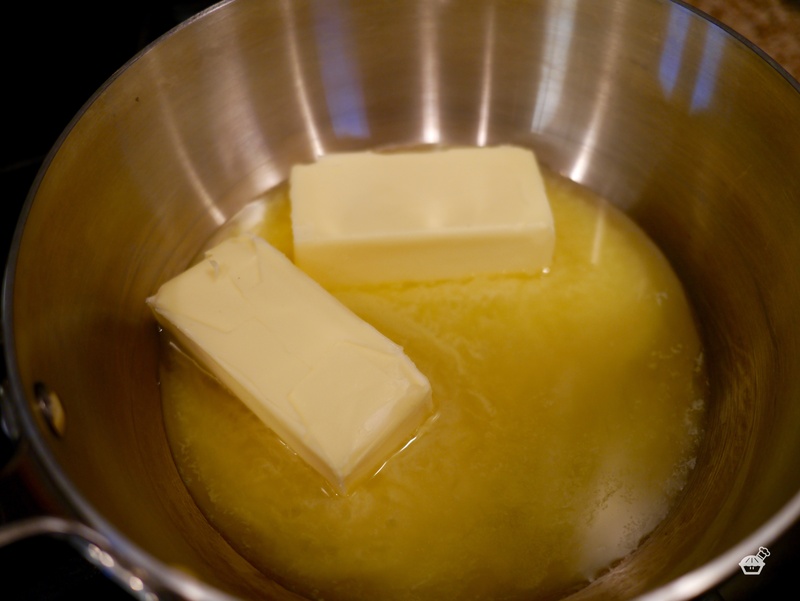 I wiped off the excess butter so the melted chocolate I was preparing would adhere better. 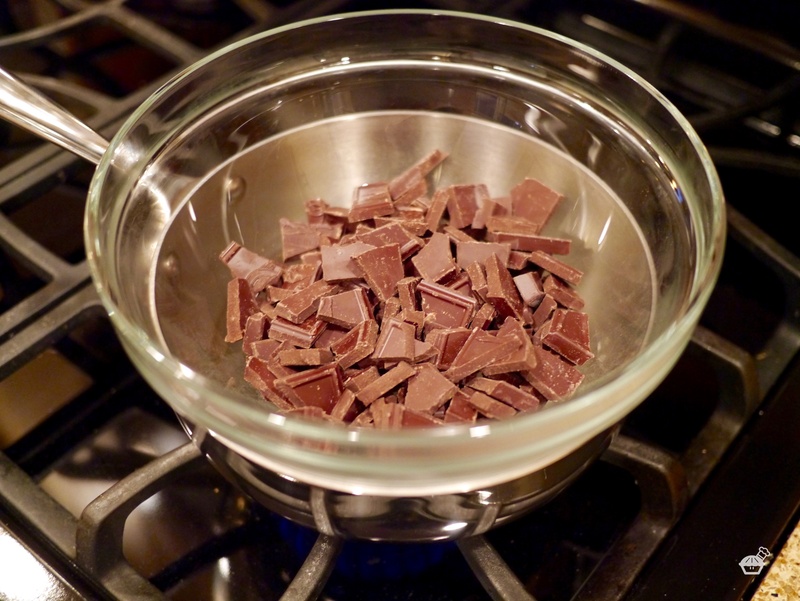 I melted chocolate over gentle heat and waited for it cool down a little before spreading it over the toffee. 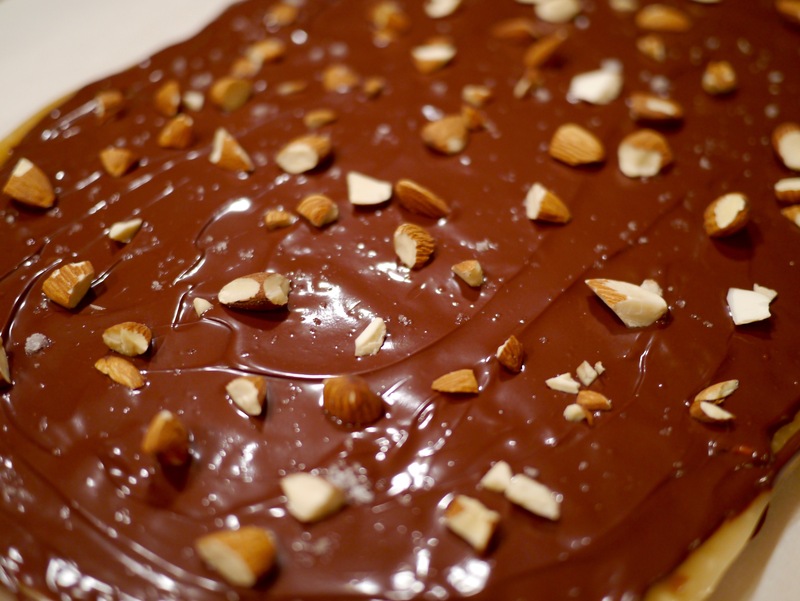 The chocolate went on the top and the bottom of the toffee, along with more almonds and salt. I chose to sprinkle the tops and bottoms with fleur de sel instead of sea salt. 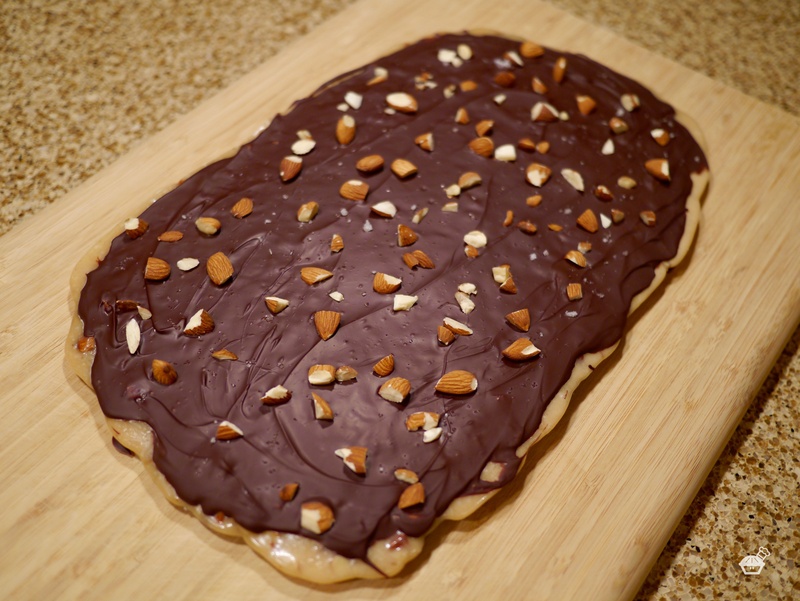 The Chocolate-Covered Toffee Breakups were popped into the fridge to set for a bit. I suppose you could temper the chocolate for a glossier appearance, but I was A-okay with mine being matte. I had some of these for dessert after dinner. They were really a nice treat. Don’t judge me, but I also had some for dessert after breakfast the next day, too. I’m thinking that the smaller bits would pair really well with some Perfect Caramel Popcorn. 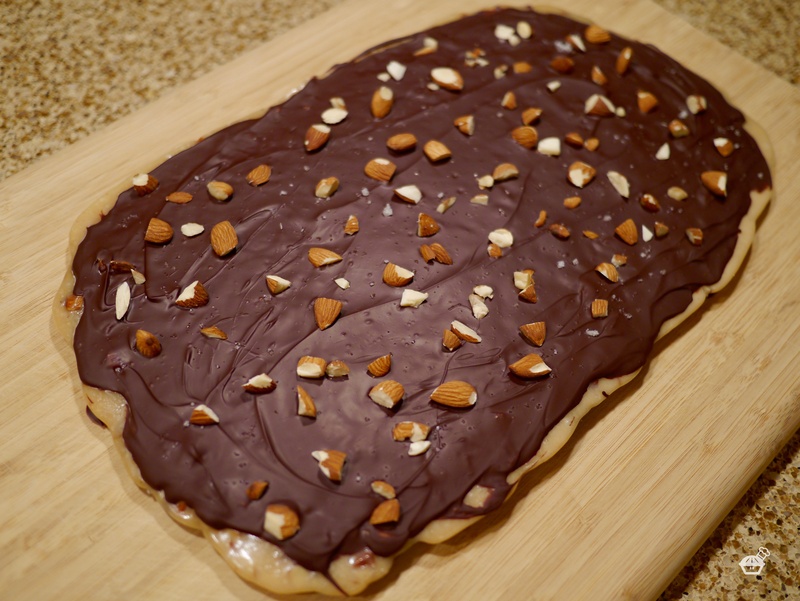 Chocolate-Covered Toffee Breakups recipe on page 402 of Baking Chez Moi by Dorie Greenspan. I.m so sad I didn’t find the time to bake along this week. Your crunch looks so damn tasty! I agree – this was do good, and I am fine with eating it for breakfast. Chocolate covered toffee popcorn. Now there is a novel idea! 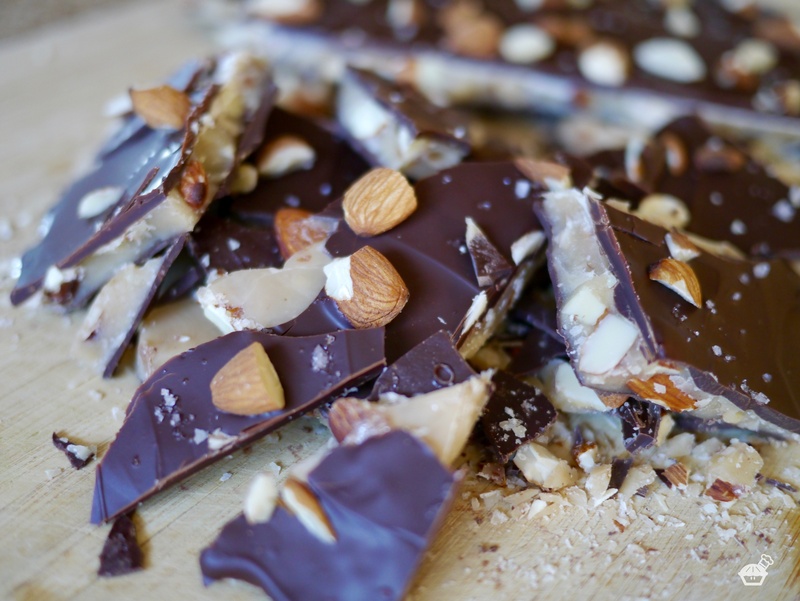 Almond Roca! That’s the name I was trying to think of! You’re absolutely right, that’s the exact taste! And great process photos! I probably would have had it for breakfast too if I hadn’t already packaged it up to give away! This was good wasn’t it – and I would also happily eat some with breakfast!